Welcome to the website for the Bemidji Umpires Association (BUA). 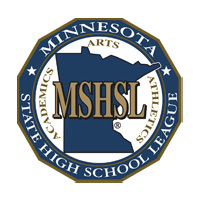 Located in Northern Minnesota, BUA is a member of the Minnesota State High School League (MSHSL). BUA is dedicated to providing the highest levels of professionalism and quality officiating to baseball and softball programs throughout our service area. The purpose of the Bemidji Umpires Association is to further the interests of amateur baseball and softball officials; promote the welfare of amateur baseball and softball, its players, officials, administrators, fans and to develop, promote and maintain the highest standards of sportsmanship in connection with the games of baseball and softball; provide educational programs to advance the skills of amateur umpires; work with sports administrators to provide qualified individuals to umpire games; and encourage uniform interpretation fo the rules of baseball and softball. If you are a guest feel free to view the various pages using the menu bar located on the left. We are always looking for new officials to join our association, please check out the join page for more infromation. BUA members can use the login on the right to access member's only information. If you are having problems logging in please send us an email.